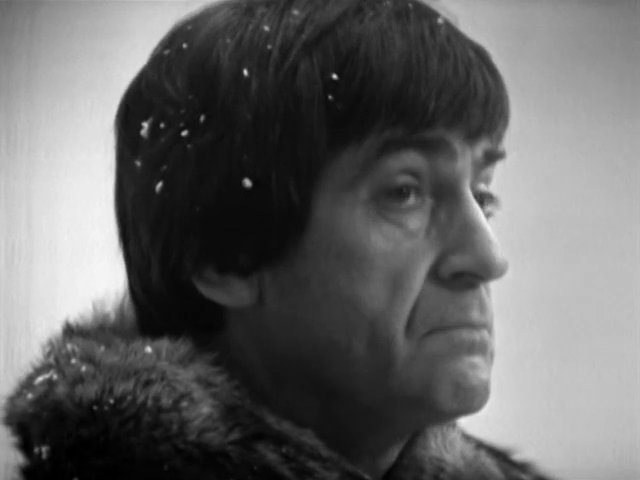 I forgot to mention at the end of the last post… Serial 038, The Abominable Snowmen, is missing five of its six episodes. Back to The Ice Warriors. Synopsis: Global climate change is wreaking havoc on Earth. Scientist are using an ion beam to manually heat the Earth and combat an impending ice age. In the glacier they find… AN ICE WARRIOR! This six-part story has two episodes missing (and animated), which means, I’ve never seen it before! It’s a fun episode, but a bit dumb. They introduce a new villain that they call “The Ice Warriors.” We never get to hear their actual name, but learn they are from Mars. These ice warriors don’t trust the humans, and use violence to get their ship loose from the glacier. I can’t blame them for not trusting the humans, but they don’t know humans, why wouldn’t they trust us? 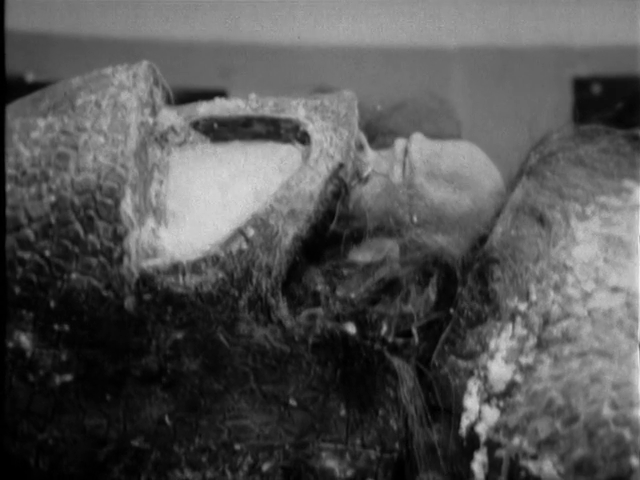 It’s very similar to a plot in a much later episode of Doctor Who where they find a frozen ice warrior. 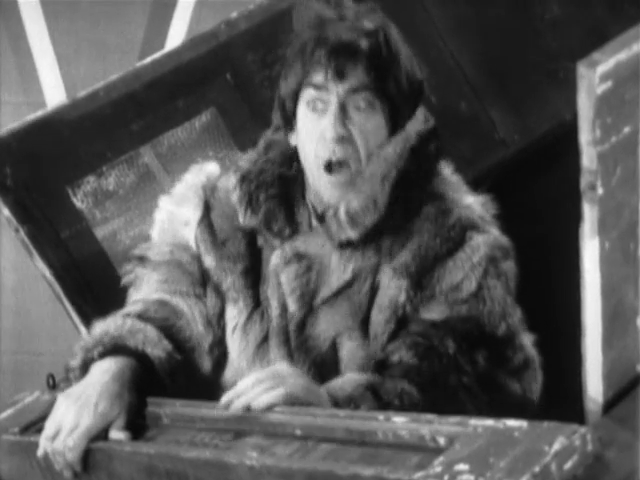 In the Patrick Troughton story, they think it’s a mastadon frozen in ice. 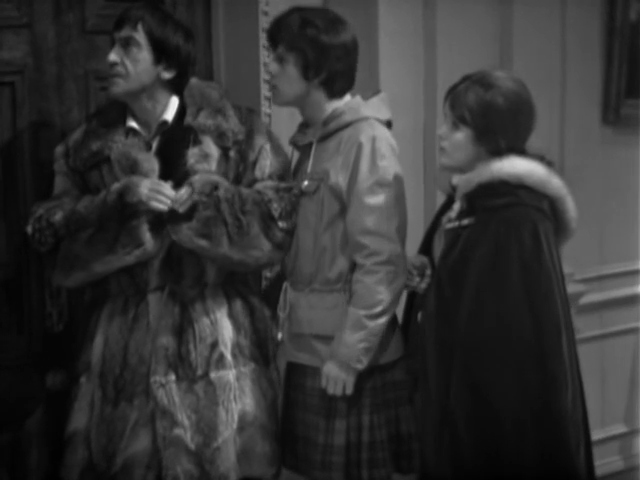 In the Matt Smith story, they think it’s a mammoth. Once again, the best part of the story is the comic interaction between The Doctor and Jamie. The Doctor’s expression when Jamie shouts “You’re on my head” is priceless. There’s a weird subplot throughout the whole story, about people arguing over whether computers are good or bad. It’s a very ’60s notion that computers will rule the world, and we can’t let them make decisions because they don’t have intuition or emotion. Instead of the factual, modern-day view point that computers are tools we use to help us make decisions.